While the exact details of the transaction are not available, Spokane Valley's Jeramko Nissan has been acquired by another well known name in the local auto sales industry. Dave Smith Motors acquired Jeramko and has since taken over operations, making it Dave Smith's first dealership in Spokane. The dealership will now be known as Dave Smith Nissan , but despite the change the dealer will still sell new Nissan cars, trucks, SUVs and trucks. Used vehicles are also sold by the dealership in addition to a service department and an auto parts department. There is no news about if any expansions are planned in the future for the new dealer which is located at 6901 E. Sprague Ave, Spokane Valley. Dave Smith Motors also continues to maintain a strong presence in North Idaho. 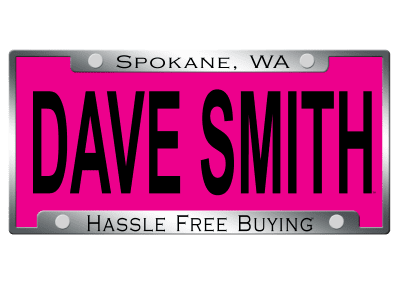 Dave Smith has a main dealership in Kellogg and a second dealer called Dave Smith Frontier Sales in Coeur d' Alene. The company sells 9 different automotive brands and employs over 500. They also continue to look for new salespeople. Dickey's Barbeque Pit is a growing national chain of fast casual BBQ restaurants that added it's first Spokane location back in 2013. Today, that location is going strong at 12628 N. Division in the Wandermere area. The Wanderemere Dickey's even won Best of Spokane 2015 award for best BBQ in Spokane Coeur d' Alene Living Magazine. But, now Dickey's is looking to build on the success of their one local location. 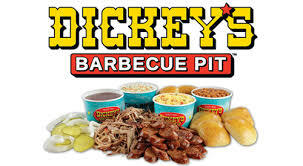 This month the Texas based chain announced they have inked a franchise agreement with Dickey's Owner / Operator Mark Engberson and Palouse Restaurant Group to open five new locations all in the Eastern Washington / Spokane area. It has yet to be announced where all the five Dickey's locations will be and when they will open. In fact we assume it may be some time before they all open. However, Dickey's Barbeque Pit has signed a lease for a location in the Spokane Valley. The Spokane Valley location will likely need to be remodeled as the building has been vacant for sometime. The building was last used as a local restaurant at 14720 E. Sprague. The local franchise owners own a variety of fast food and fast casual restaurant franchise locations all around our region. The group owns locations of Carl's Jr. , Subway and Wingstop. With over 80 years of combined experience in franchise food service. Dickey's Barbeque Pit is the largest barbeque restaurant chains in the nation. They we're founded in 1941 with the goal of authentic slow smoked barbeque. All meats are still smoked on site at their resturants , allowing them to live up to the chain's motto " We speak barbeque ". After some delays for a full building remodel and some health issues The Fresh Plate Market is now officially open in North Spokane. The Fresh Plate Market is the latest venture from the same owners as The Bistro Box food truck and the Fresh Plate Café at WSU's Spokane campus. The market is located at 3818 N. Nevada, at the corner of Nevada & Empire . The store occupies 1052 square feet and includes a commissary style kitchen for their two Fresh Plate Café locations, both of which are at WSU Spokane. The kitchen also allows customers of the market to enjoy a selection of prepared foods and meal components that are ready to cook. In addition to the prepared meals, Fresh Plate Market also offers fresh produce , specialty grocery items and more. Many of those items being supplied by local producers and manufacturers, like Spiceologist, Chatteroy Cheese and Roast House Coffee. Beer and wines may also be sold in the future as the business grows. Also, The Bistro Box food truck will likely be at the market on regular basis once the weather warms up next year. 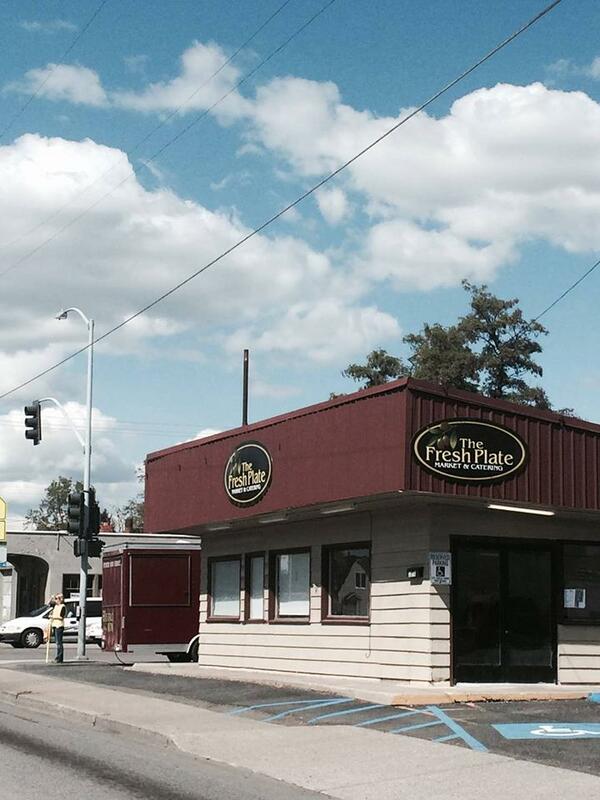 Laguna Café, a popular South Hill restaurant is changing. And, the biggest change is their move, Laguna had been located at 4304 S. Regal Ave. and is now working on a new larger restaurant space a short drive north as part of the Grapetree Village Shopping Center. Laguna Café will take space next to US Health Works at 2013 E. 29th . The new Laguna Café will have over 2,600 square feet , meaning about 1,000 square feet more space the their current location. The new location will also allow the restaurant to add liquor to their drink menu, which as of now only includes beer and wine. Even in the new space however, the restaurant will maintain much of the same food menu and café type atmosphere. The move will allow Laguna Café to hire 2 or 3 more employees to handle the more space and customers. If all goes as planned the new location is expected to open in December. While controversy continues for the organization at the national level, Planned Parenthood has announced a plan to expand in Spokane. 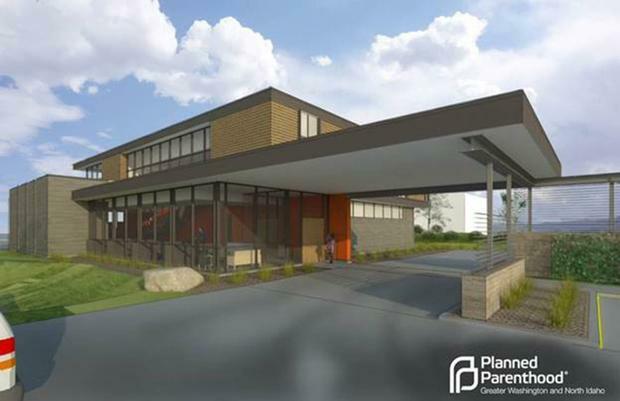 Planned Parenthood says their plans will replace their current clinic and offices at 123 E. Indiana with a new modern and more efficient building , to be built just east of the their current building on Indiana. The new Spokane Planned Parenthood building will offer nine exam rooms , two surgical suites an education center and a community classroom. No word on if this new building will create any new jobs. Planned Parenthood is also investing in re-establishing an office in Pullman following a arson fire destroyed the original office there. 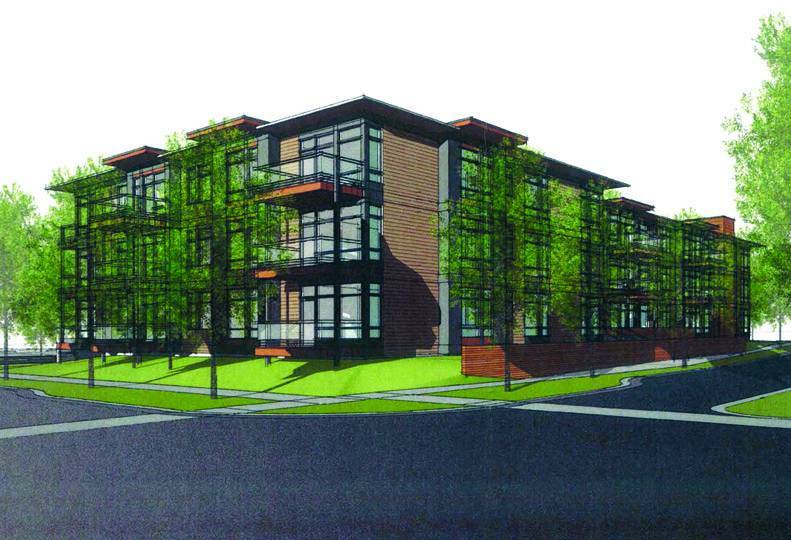 Kendall Yards' Elm St. Condo building will rise soon at the corner Summit Pkwy & Elm St. . The building will have 43,700 square feet of space with 24 condos to be sold upon the buildings completion. The building will also include a small parking garage for residents. Kendall Yards is planning to build a new office building by the intersection of Jefferson & Bridge Ave. Construction will likely start in the spring with Greenstone Commercial already working hard on attracting / finalizing tenants that have yet to be announced. The building will offer about 30,000 square feet of class A office space. A couple of new business have also opened up shop recently in Kendall Yards' central business district. Including a new non profit center called Spark Literacy Center that acts as a small library / learning / community center. Also, I'm told Greenstone continues to seek out opening a grocery store within the Kendall Yards development but at the present time does not have a tenant secured. 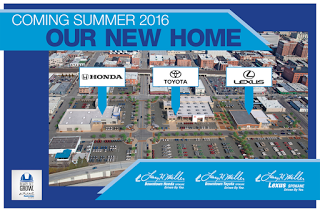 Larry H. Miller has completed the first step with new showroom / offices for their Lexus dealership . The new showroom is located at 1030 W. Third and occupies 25,000 total square feet. The new Lexus building is directly across the street from where the former Lexus dealerships showroom had been. The new facility also offers a dedicated customer lounge and a larger service department then before. The company's Toyota / Scion sales and service will move to where the Honda dealership had operated. This move will happen after a $6 million dollar renovation of the new location completes next year. The building will give the Toyota dealership about 50,000 square feet of total space. The Honda dealership is currently operating a temporary location, across the street from it's future home as the construction project for the Toyota dealership begins before the Honda project. Larry H. Miller Honda is to move into the vacated Larry H. Miller Toyota Scion dealership space after it moves next year. The Honda dealer will then remodel the Toyota building with a new look, which will be similar to most other Honda dealers. The address of the new Larry H. Miller Honda will be 1208 W. Third, once all work is completed. It's estimated that all work will be completed towards the end of next year. Larry H. Miller entered the Spokane market a few years ago with the initial purchase of the dealerships in Downtown Spokane. Since, then the company has also acquired the former Hallmark Hyundai lot in Spokane Valley which today continues to operate as Larry H. Miller Hyundai at 8801 E. Sprague . The Hallmark dealership group also continues to operate, but now as 509cars.com on E. Sprague closer to Downtown. Larry H.Miller is a group of several companies and dealerships around the West with a headquarters in the Salt Lake City area. In the Spokane market Larry H. Miller employs about 260 and does expect to hire more employees with the new bigger offices and showrooms. With not even a full year in business, Spokane Overstock , is proving to be a highly successful business. Spokane Overstock is a locally owned and operated retail store with one location at 9818 E. Montgomery in Spokane Valley, near the I-90 / Argonne Rd. exit. But, now Spokane Overstock is expanding and adding a second location in Spokane, with the original location also staying in business. 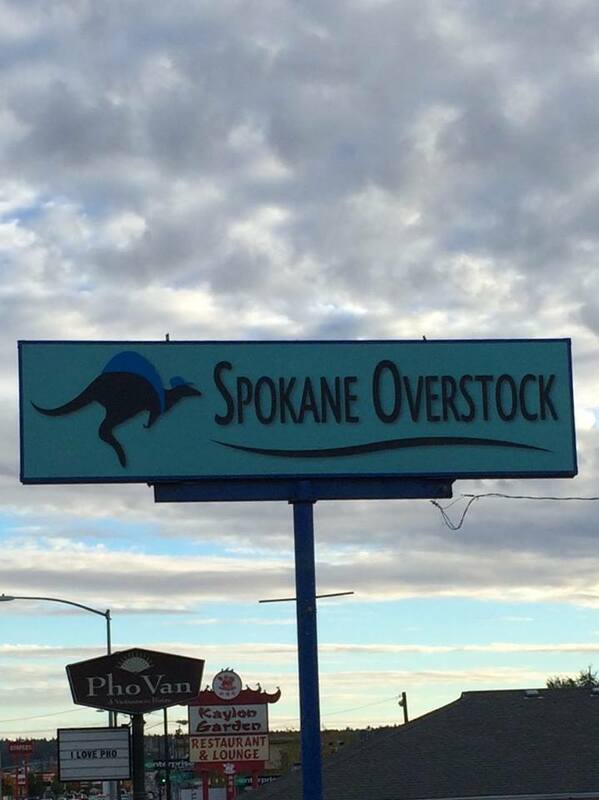 The new Spokane Overstock in Spokane has now opened for business in the former DiVision Thrift Store building at 2915 N. Division, by the Division St. Hill. The building is over 4000 + square feet and will likely have similar inventory to the Spokane Valley store. Spokane Overstock sells a wide selection of overstocked merchandise that they buy at a lower cost directly from several large retail stores. And, because this merchandise is from these stores it is not off brand but instead brands like , Stearns & Foster Mattresses , Beats by Dre and many more. And the stock changes frequently. According to the businesses Facebook page much of the store's merchandise is priced as much as half off retail. Items sold by Spokane Overstock includes: Mattresses, bathroom vanity's , couches , loveseats, home décor , Beat by Dre Headphones, cabinets, lighting and much more. For larger, heavier items, they also provide a delivery service for a nominal fee. And, unlike the Spokane Valley store, the new Spokane Overstock store on N. Division will be open seven days a week. The new store will be open 10-8 Monday through Friday and 8-4 on Saturday & Sunday. The prospects of new manufacturing / warehouse jobs in the Inland Northwest continues to look positive. Both Cheney and Deer Park have newer industrial parks and the large Spokane Business & Industrial Park is always gaining new tenants. But, another new large industrial park is also beginning just over the Idaho state line, north of Post Falls. The new park, which is called Bighorn Industrial Park will be located near the corner of Pleasant View Rd & Poleline Rd. on the Rathdrum Prairie. 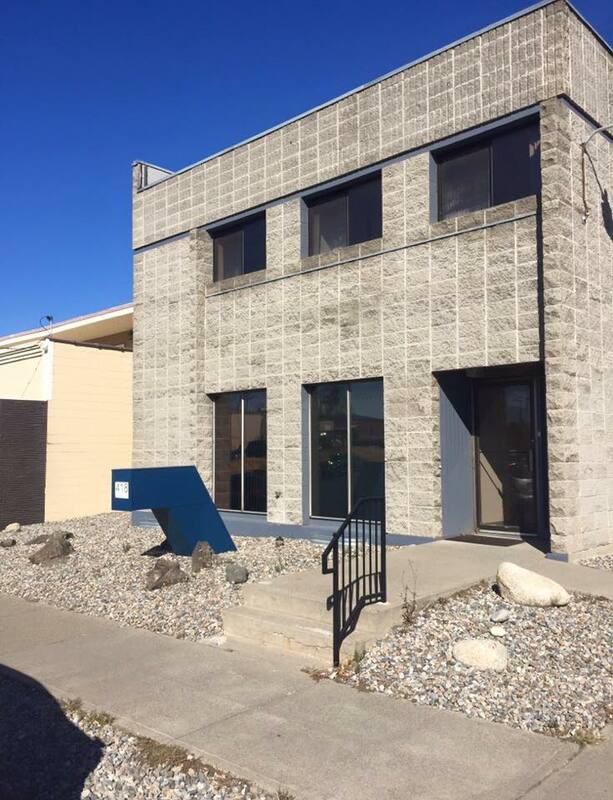 The location makes it ideal for business being only a short drive from both Route 53 and I-90. The next two phases will be located to the south of phase 1 and will include 20 + more lots. There is no word on what business will go into the Bighorn Industrial Park as it is still too new, but the hope is there for some big names and big employers. Have an interest in what's new in Spokane's University District? Then you might want to stop by the district's open house this afternoon at Gonzaga's Hemmingson Center ( 702 E. DeSmet ). The open house will take place Oct. 21st from 3 - 6 pm and will allow the public a chance to get information and meet the district's new director Mark Robert Mansfield PhD. - Jensen Byrd Building ( now owned by Washington State University the large historic former Jensen Byrd Warehouse building may see redevelopment soon. The university is exploring options to make it a centerpiece of the district and compatible with the surrounding neighborhoods. Not to be confused with the Riversbend Commerce Park in Post Falls, a new complex of offices / retail and restaurant spaces called Riversbend Business Park will rise soon just east of Downtown Spokane. 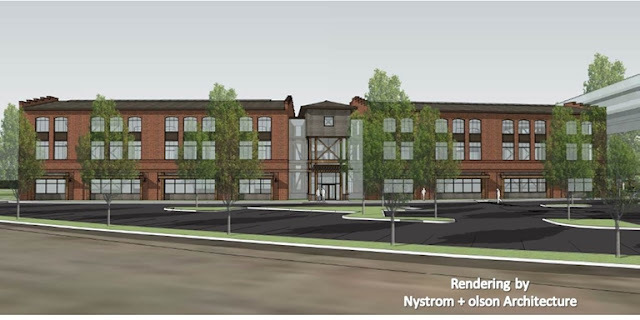 The Riversbend Business Park will be a group of 2, three story buildings at 111 N. Erie St. and will be built on a seven acre parcel that partially falls underneath the Hamilton / I-90 exit bridge in the University District. 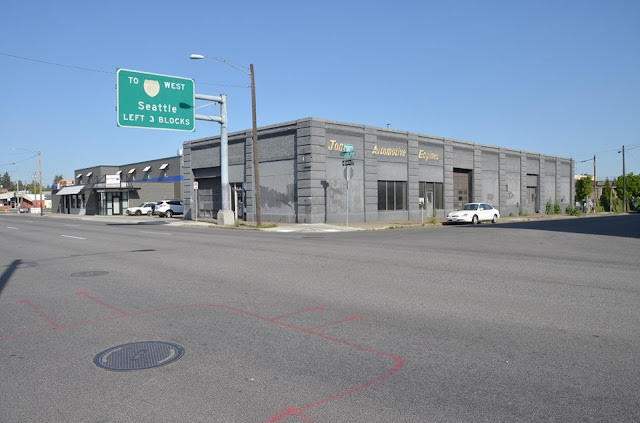 The project site will also soon connect into Downtown Spokane, with a purposed extension of Martin Luther King Way planned to run past the Riversbend property. Riversbend Business Park in all will offer 52,000 square feet of space, with no known tenants for sure lined up for it as of yet. The two building will be available for many possible uses, medical / general office space would be an ideal fit. But, retail , an event center or even a restaurant overlooking the Spokane River could easily fit into this new development. Leasing is already underway for the project with an estimated completion date being Fall of 2016. NAI Black is responsible for leasing the project. The space is considered Class A and is leasing for $24 - $26 per square foot. Located not far north of Downtown Spokane, and nearby the Rock Pointe Office Campus, at 418 N. Sharp sits the former home office for the Pizza Pipeline restaurant chain. The building may not look like much, but it's recently come under new ownership, and exciting things are about to be happening inside it's grey concrete walls. The office building was recently acquired by well known State Representative and local businessman, Kevin Parker. Parker, who owns the Spokane area Dutch Bros. Coffee franchise locations, plans to use some of the space as new home office for his Dutch Bros. ventures. But he also plans to give back with the remaining office space. As of my writing this ( which, mind you, was sometime before this gets posted ) two more office spaces are still empty and waiting to be filled. Kevin Parker also continues to invest elsewhere in the Spokane area. 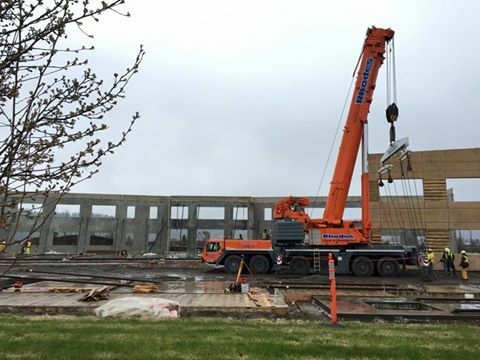 Construction is well underway for another new Dutch Bros. Coffee location, this time in Spokane Valley. The new Dutch Bros. will be at 20 N. Pines Rd. , next door to Denny's and out front of the abandoned former Albertson's grocery store. 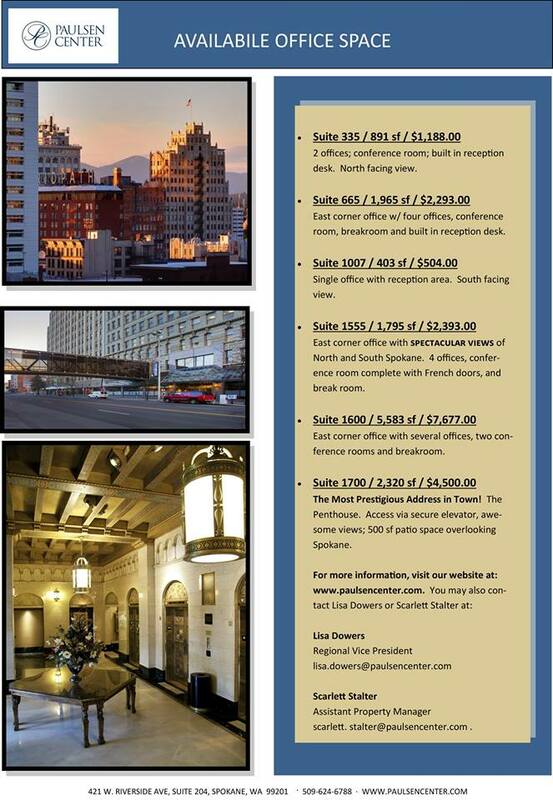 Looking for a unique Downtown office space? 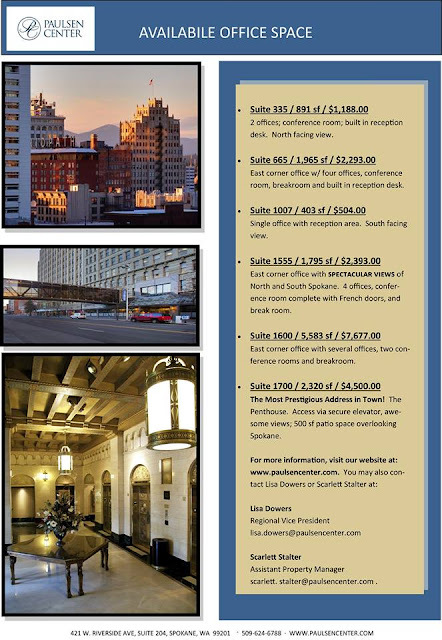 Paulsen Center Penthouse is for lease! I'm not a realtor, and I try to shy away from using this blog to sell things. But when I came upon this YouTube video, I just had to share it on here. For those who don't know The Paulsen Center is a historic 17 story skyscraper, located at 421 W. Riverside in the heart of Downtown Spokane. It has even been referred to as a city within a city because of the many services that can be found within the building. Spokane's craft beer scene is the best, for a medium sized city we have tons of breweries with new ones still coming or recently opened. But, one that's been open for awhile and built itself a positive reputation is Iron Goat Brewing Co.
Today the building may look a little rough, but the historic garage will undergo a complete remodel with SDS Construction doing a full interior redevelopment for brewery, which will move all operations to this building once it is completed. 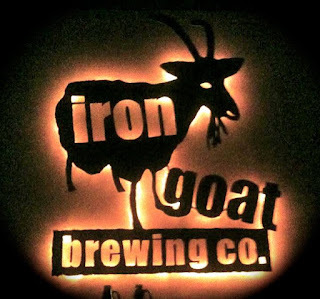 The current hope is Iron Goat may be able to move to the new building by the end of the year. The new Iron Goat Brewing Co. building is significantly larger then there current location. In fact the new building is more the double the old location, with the Second St. building offering over 10,000 square feet of space, and some additional outdoor spaces. The bigger space will allow Iron Goat Brewing to increase it's services. 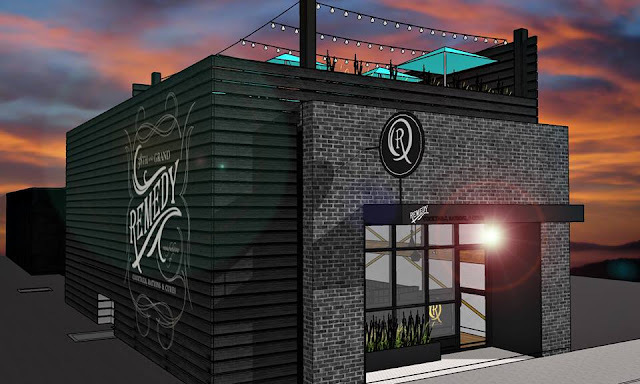 While the brewery will continue to produce great, locally produced beers the new space will include a kitchen for a food menu, which has not yet been seen. The new location will also allow for extended hours, live music and even art for First Friday. The former Ella's Supper Club is proving to a popular spot for new businesses. The historic building in the 1000 block of W. 1st Ave. in Downtown Spokane recently became home to Orilson Brewing's new Downtown tap room. And, a women's clothing store called Tangerine Boutique continues to go strong on the ground floor of the cool old building. But much of the space remained unused, since a popular Downtown club called Ella's Supper Club closed sometime ago. But all that is changing, as the space is now be renovated and will soon open as an all new event center. The center will be available to be rented out for most any occasion. 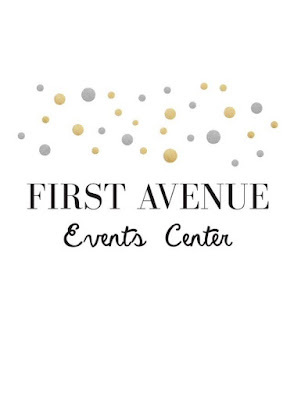 It goes by the name First Avenue Events Center and their address is 1017 W. First Ave. The center can even host weddings with a handful of packages available for that very purpose. Space rental can be done after the grand opening which is currently scheduled for October 22nd. 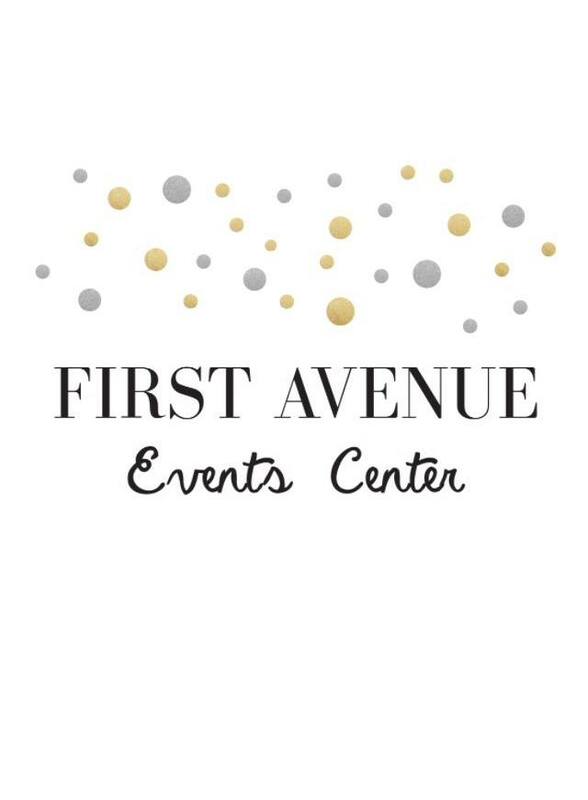 The First Avenue Event Center offers two unique rooms, one is a theater called Ella's Theater with a vintage feel and going on 6,000 square feet of space. The other is Metronome Hall, with 5,241 square feet of space and a more urban rustic feel. Remember playing with Nerf guns as a kid? Maybe your kids like to play with them now. If so, you'll likely want to make note of a new all indoor dart shooting arena now open for business in Spokane Valley. The arena also hosts birthday parties, with three different exciting party packages available. Information on birthday party booking can also be found on their web site. More proof that Airway Heights and the West Plains in general is a hot place to locate a business, a purposed shopping center on the eastern edge of the City of Airway Heights is filling up before it's even built. The West Plains Plaza is that shopping center and it was first purposed a couple of months ago for the southwestern side of the intersection at US 2 & Hayford Rd. The site is a high traffic area and nearby some major employers / attractants like Northern Quest Casino and the Spokane International Airport. Grocery Outlet - Taking the space directly in the middle of the inline retail space. No info about opening date or how many employed, that will be posted separately as we find out more. Dollar Tree- Taking a slightly smaller space then Grocery Outlet, next door and directly to the west of the that store. 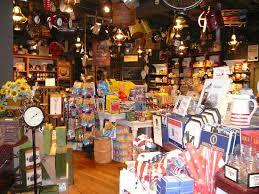 Also, there is no other news to report about this store, but we will create a separate post about it later as well. A marketing advertisement for the plaza also shows an image of the Sprint logo but no mention of them being a tenant there. But, Dollar Tree and Grocery Outlet are not the only already planned tenants as a Jimmy John's Subs and a Pawn 1 location are also included as coming to the plaza. Pawn 1 will be on a pad site and the Jimmy John's will be within the inline spaces. - A new smaller shopping center in the parking lot of Wal Mart, tenants going in there so far are a AT&T cell phone store and a Papa Murphy's Pizza. - Walgreen's already owns a lot across Hayford from the West Plains Plaza, it is to be used for a new store that has been on hold. However it is speculated that the new project will re-start the Walgreen's project. 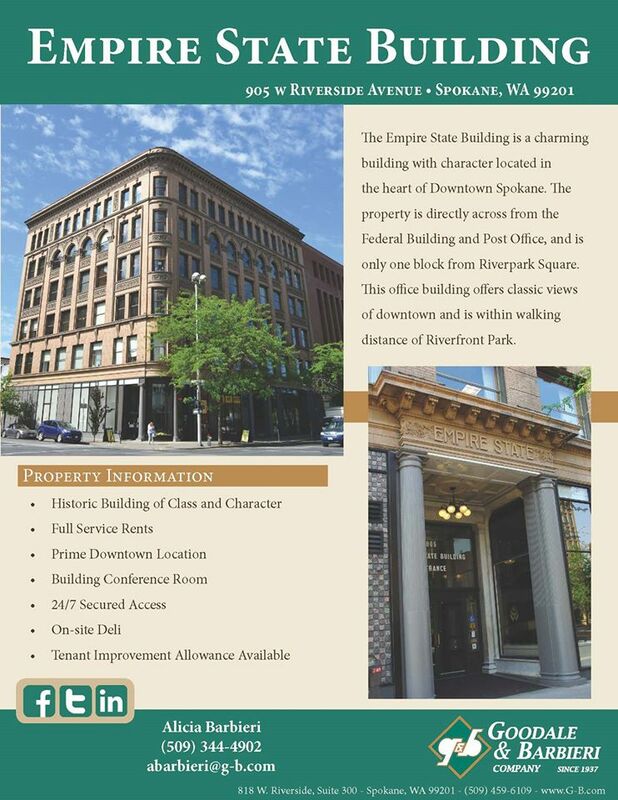 New York City isn't the only place with an Empire State Building, Downtown Spokane is also home to a historic building with the same name. While Spokane's is named for our location in the " Inland Empire " and offers a smaller amount of square footage ( much smaller ), it is playing a big part in local economy. Community Frameworks is leasing 2,700 square feet of office space, all on the first floor of the Empire State Building. Millianna is a maker of fashion and high end jewelry, that's even had pieces seen on the hit CW show Gossip Girl. Millianna also operates an office in New York City. In the Empire State Building Millianna occupies almost 800 square feet of office space. Architecture / construction management / engineering firm OAC Services has opened a new Spokane office in suite 510 of the Empire State Building. The Spokane office will act as a satellite office to their other offices in Seattle and San Jose,CA. . The Spokane location also created a small amount of new local jobs. Spokane's Empire State Building , is a six story historic building that was constructed in 1900, pre-dating the more well known Empire State Building in New York City in by 30 years. Update 11/30 - This will actually be a second location on Selkirk Pizza's sister business, Fieldhouse Pizza & Taphouse, a new post with up to date information is coming! 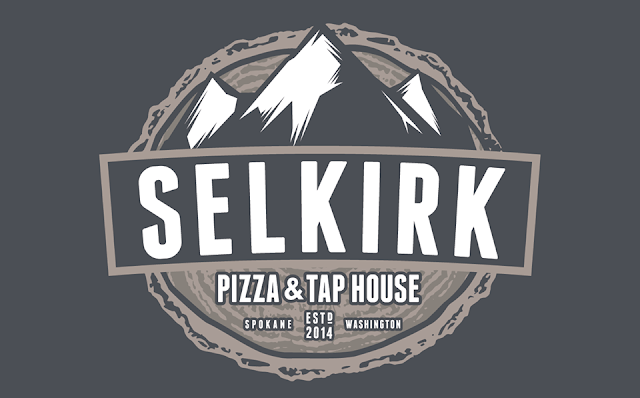 We have now confirmed that the space will be a new second location of Selkirk Pizza & Taphouse . Selkirk is popular pizza restaurant from the Wandermere area, that took over for Fat Daddy's Pizza some time back. Selkirk plans to keep it's original location open, it can be found at 12424 N. Division St. by the Village Center Wandermere Cinemas. The Liberty Lake Selkirk Pizza & Tap House is estimated to open sometime in November or December. The menu for this location is still being worked out but will be similar to the original location. Selkirk Pizza & Tap House has an exciting menu of several specialty pizzas made with fresh toppings and at a fair price. Pizzas made with toppings of your choosing are also available as are gluten free options. Pizza is not the only thing on the menu at Selkirk however, the menu also includes sandwiches , calzones , soup , salads and pasta dishes. And, beer is big at Selkirk also, with several taps being devoted to local breweries . The restaurant can also even fill growlers with anything on tap. A group of well known local restaurateurs and business owners have acquired the former Grand Cleaners building on the South Hill. There they plan to do an extensive remodel to the building and open an all new bar and restaurant. Remedy's menu has yet to be made available but the motto seems to give some clues. As Remedy's motto is cocktails, cures and rations . We'll continue to keep you updated as we hear more about the drinks, menu and employment numbers. A new cider house is coming to Spokane Valley, from a well known growing local hard cider maker. 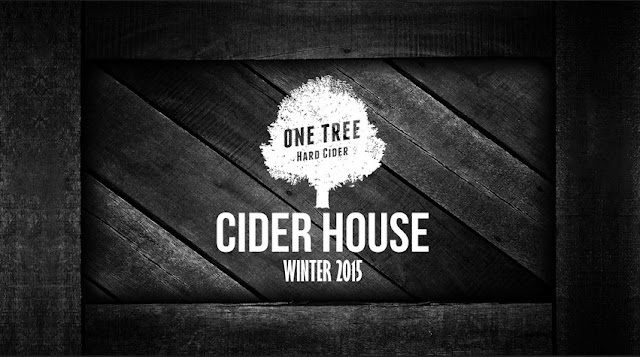 One Tree Hard Cider will open the new business sometime during the Winter of 2015 in the same Industrial complex as their production facility is in now. The address is 9514 E. Montgomery Ave, Spokane Valley. One Tree's space will go up to 2,300 square feet with some taken up for cider production. About 1,000 to 1,500 square feet will be set aside for the new cider bar. It will feature new comfortable seating area, all of their ciders on tap and some hard ciders from other producers. Seating will be available for about 50 - 100 people and while a food menu is not planned for the cider house it will be a " food friendly " establishment but food can be delivered to One Tree and food trucks may also set up shop at the One Tree Cider House. One Tree Hard Cider has been in business for a couple years or so now and made a positive name for itself. It's products, which come in array of flavors , are sold at many local beer and wine retailers . 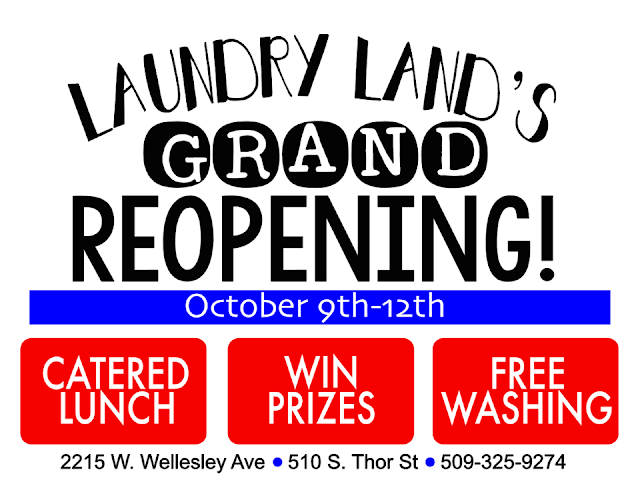 Laundry Land holding grand re-opening! The grand re-opening will feature a catered lunch from Sweeto Burrito ( both locations ) , free use of washers for residential customers and drawings for either a 50" flat screen TV or a $100 gift card to either Wal Mart or Fred Meyer. And, if you can't make it to the grand re-opening, still be sure to check out Laundry Land for all of your laundry needs. Locations are clean, safe and a friendly environment with TV , free wi-fi , attendant on site and fair pricing. Several months after I was able to confirm the rumors of a Cracker Barrel restaurant and country store coming to Coeur d' Alene, it is finally becoming a reality. This as the Plano,Tx based property owner has filed for a building permit to build a location of the restaurant chain near I-90 and the new Winco grocery store. As mentioned before this will be the first Cracker Barrel location in the Inland Northwest, and for now the only one as we have no details on any locations coming to the Spokane area. 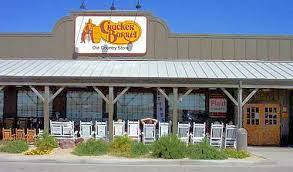 But this may change, currently the closest Cracker Barrel location to us is in Missoula,MT.
" where pleasing people with our delicious homestyle cooking & gracious service defines our country spirit "
The site of the new Coeur d' Alene Cracker Barrel will also soon be a very busy site as a Native Grill & Wings and a Freddy's Frozen Custard & Steakburgers have also been confirmed to be coming to the empty lots next door. Both of those restaurants are planned to open sometime next year. The Wellness Tree is a new smoothie bar in the same suite as a small medical clinic is the South Perry District. The business is located by Perry Street Brewing and has a full menu of smoothies, teas and acai bowls. The Wellness Tree's medical clinic offers naturopathic medicine, chiropractic care and acupuncture services and is also a new business. Now open next door to the AMC movie theater, in the former Arbor Crest Winery space is Gas Lamp. Gas Lamp is a full bar with a food menu, more to come on them soon. Now open in Downtown Cheney is Marketplace Bakery & Deli . Marketplace is full bakery , deli and coffee shop featuring locally sourced ingredients . The Bulldog is back in business, just a bit different and in a new space, now on campus. The Bulldog still has a full food menu in addition to beer and wine. The restaurant is on the second floor of the new John J. Hemmingson Center. It is open to the students and the public alike and is operated as part of Sodexo's campus dining program . Atilano's , the growing local mini chain of restaurants serving big burritos and other Mexican dishes in a fast food style format is adding a new location in Airway Heights. We haven't heard back for information from Atilano's yet but it will likely be like there other locations. They will occupy a former Thai restaurant space on the east side of Airway Heights. Taking over for the former Kootenai Coffee is a new location of Longboard Coffee, across from the Sheriff's Office on the North side of Coeur d' Alene. Longboard is a full coffee shop with drive through and serving organic coffee choices. The former location of the short lived Melone's Culinary Public House is now Rivelle's River Grill, next door to Starbucks in Riverstone. Rivelle's has a full menu of shareable dishes with a good selection of beer and wine. Stir is a new neighborhood style craft cocktail bar with beer, wine and a food menu. Stir is set to open soon in the Ciao Mambo restaurant space. The restaurant is planned to offer a relaxing and comfortable atmosphere with a central location. We're also keeping an eye out for a rumored second Chipotle Mexican Grill in Spokane, a new restaurant ( possibly a pizza place ) in the old Blockbuster store space in Liberty Lake, a new Mod Pizza in North Spokane, an organic restaurant and café in the Garland District and a new Zip's coming soon to Post Falls. The wine and craft beer industry continues to be a strong spot in our local economy, which likely plays a big part in the recent relocation and expansion of Click Distributing East's distribution center and office's in the Spokane Business & Industrial Park. However they didn't move very far, Click moved from building 18 to building 29 still in the Business Park. But there space is now much larger, in fact the new space is almost double the size of their old space. Click had occupied 21,000 square feet and now has 40,000 square feet. In addition to all new building space they also have new, more convenient cold storage area. Their space is equipped with a 4,000 square foot, 18 foot high walk in cooler which is triple the former amount of cooler space. The move has also created some new jobs, with 3 new jobs filled recently. With the physical expansion also has come along with some new merchandise to be distributed through Click Distributing East. Click recently added beers from 12 String Brewing of Spokane Valley and Waddell's Brewing of Spokane. The company also hopes to continue to add to that merchandise portfolio that included fine wines, craft beer and only the best ( often locally produced ) spirits. Kootenai Health's only full hospital, Kootenai Medical Center , in Coeur d' Alene has been undergoing a massive expansion for sometime now. A large new two story addition is now up on the east side of the hospital's property, set to open to the public sometime next year. 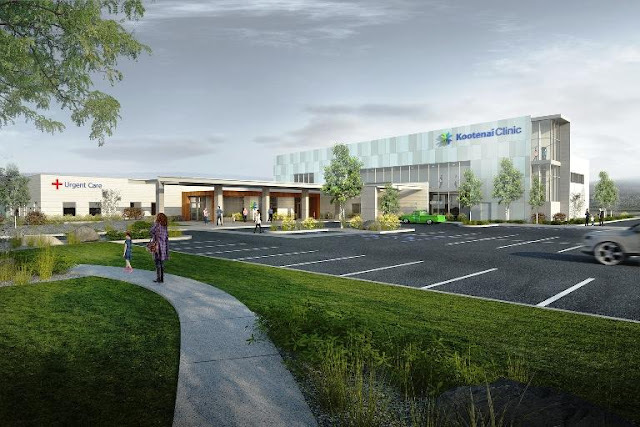 But as that expansion comes to it final steps, the locally based health care system is planning another major construction project. But this time the expansion is coming to the Kootenai Health Park property in Post Falls. The expansion will not make the facility into a full hospital but will greatly expand the health care offerings at the Post Falls facility. Part of the reason for the expansion is " Post Falls is growing and so are we " explains a rep. from Kootenai Health. The new expansion is a 2 story addition with 22,000 square feet of space. Also, it will create 20 new permanent jobs and take about a year to 15 months to complete. Also, Kootenai Health recently purchased a church building nearby it's Coeur d' Alene hospital for office expansion and a new child care center. After being open only a few months since the transition from Safeway to, Bellingham,Wa. based Haggen Northwest Fresh, the chain is making plans to close down it's store in Liberty Lake. The store is located at 1233 N. Liberty Lake Rd. seen here before the switch when it was still a Safeway. The closure is a direct result of the Haggen grocery store chain's recent bankruptcy filing. 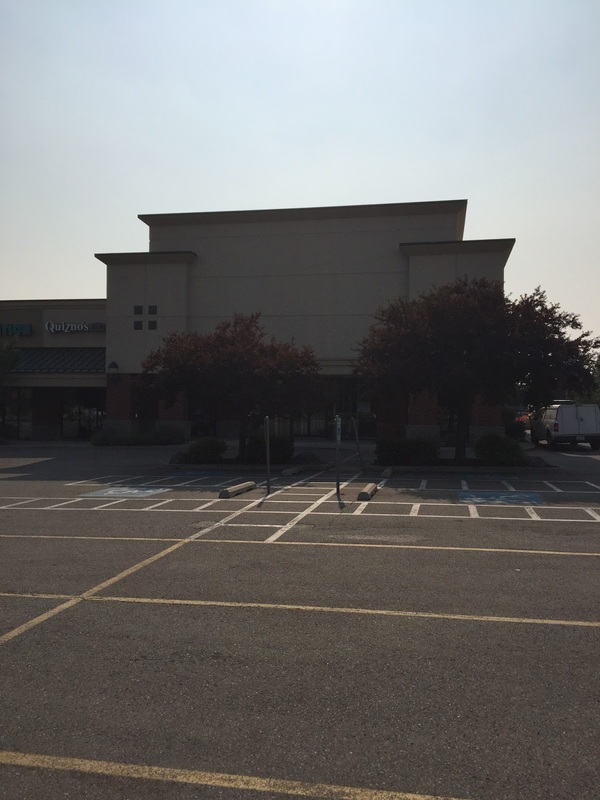 This location was the only Haggen branded grocery store in the Spokane area. It was one of the locations purchased by Haggen from Safeway / Albertson's , which was the beginning of the downturn for Haggen, growing too fast and now involved in a lawsuit with Albertson's and chapter 11 bankruptcy. 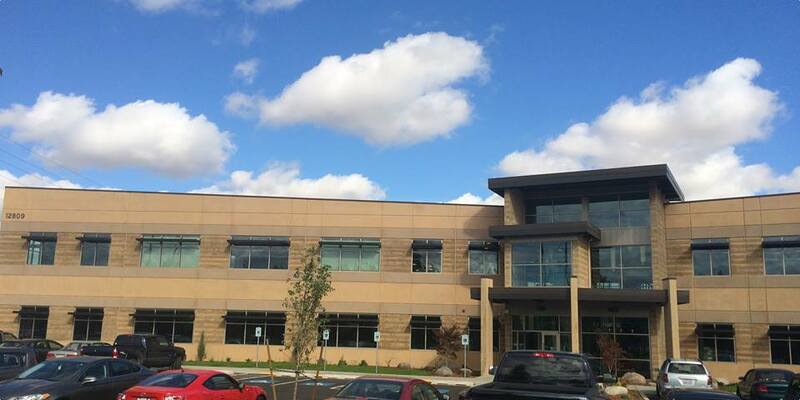 The new Spokane Valley Next IT building is located at 12809 E. Mirabeau Pkwy in the Pinecroft Business Park. The building has 44,000 square feet of space and provides quarters for all of it's estimated 160 employees. Some hiring is also expected, however I do not have exact figures on that. Next IT creates and develops virtual assistant software platforms including the " Alme for healthcare " platform which allows those in healthcare fields to be assisted in multiple mediums. The Western Washington based business consulting firm, Archbright Workplace Performance Experts has chosen to expend to Eastern Washington with a new office here in Spokane. 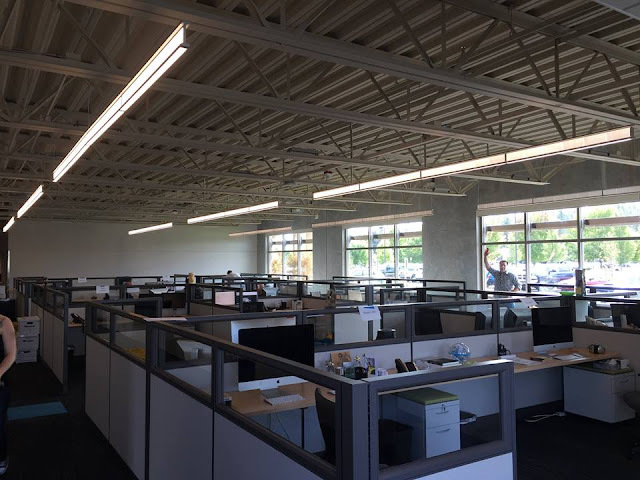 Archbright officially opened for business earlier this month in Suite 208 of the Airport Office Center at 5709 W. Sunset Hwy in Spokane. This new office is intended to provide increased capacity for member services, sales and training classes. Archbright Workplace Performance Experts is a provider of HR advice and legal council to member businesses all over Washington. With membership businesses get unlimited access to an HR Helpline, two hours of legal advice every quarter, survey data and access to an online HR toolkit. Many more features are also available for members to add on to their membership. Archbright also plans to continue their popular training classes in the new Spokane office. Among the classes offered are supervisory skills and understanding legal issues for supervisors. “We are really pleased with the expansion of training that this move provides to our employees in Spokane,” said Craig Diaz of Haskins Steel, one of Archbright's local members.